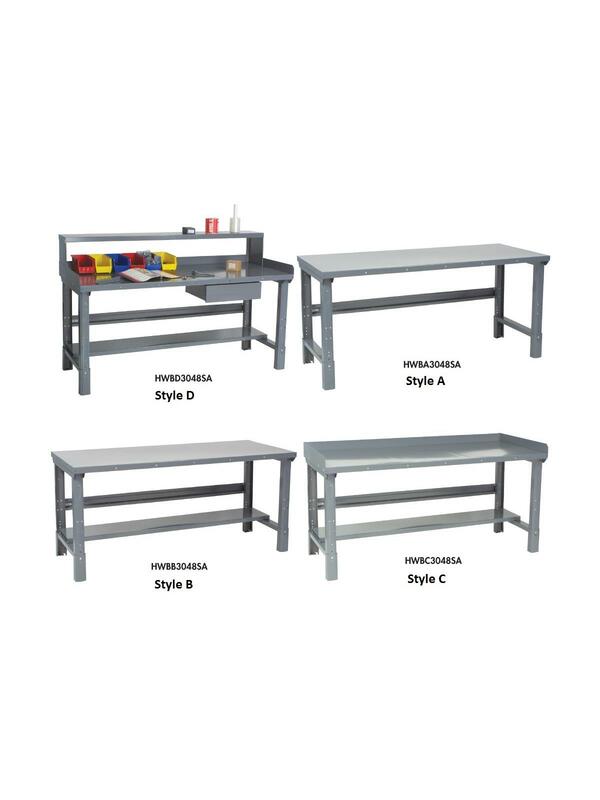 Delivers maximum performance in maintenance rooms, assembly areas or repair shops. 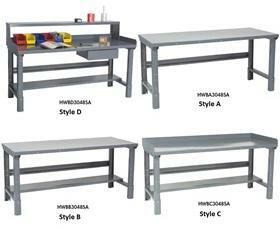 The toughest workbench in the industry! 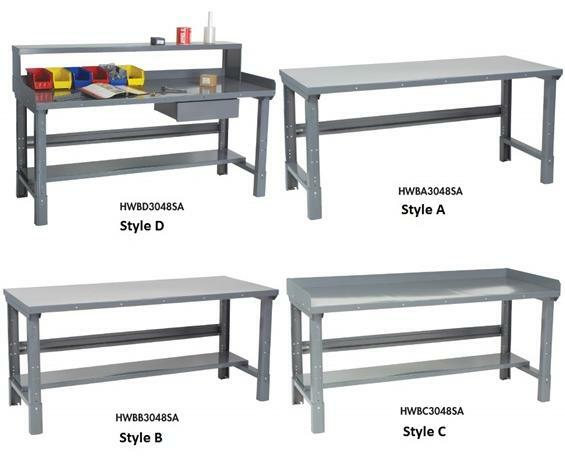 Tough steel top benches stand up to the daily rigors of hard industrial use. Heavy gauge 1 3⁄4" thick steel construction ensures durability, and backed by heavy-duty steel components. Legs feature double electrical knock outs front and rear. Adjustable legs shown -- flared models available, call for details. Tops also available in Maple, Plastic -- call for details. Easily maintained and cleaned. Tough blended powder coat Gray paint finish. FOB Shipping Point. D x H 30 x 48" 30 x 60" 30 x 72" 36 x 48" 36 x 60" 36 x 72"